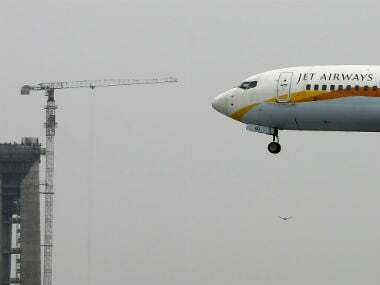 Mumbai: Cash-hit Jet Airways continues to navigate in troubled skies despite the SBI-led consortium of lenders taking over its management control last month as the airline on Tuesday grounded as many as 15 more planes due to lease rental defaults leaving just 20 planes in its operational fleet. With 15 more planes out of operations, its fleet has woefully come down to just 20 from as high as 123, operating over 650 flights across the country and the continents. 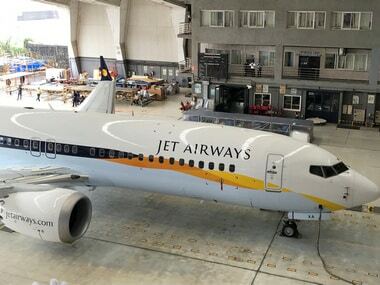 "An additional 15 aircraft have been grounded due to non-payment of outstanding to lessors under their respective lease agreements," Jet Airways said in an exchange filing late Tuesday evening. The 25-year-old airline also said it is making all efforts to minimise flight disruptions due to the grounding of these planes. Till last month, the airline had taken 54 planes out of operations due to lease rental defaults. Last week, the airline had informed the government it had only 35 aircraft in operations. 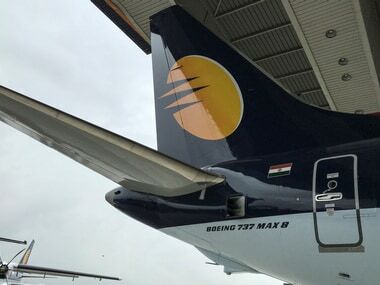 On 25 March, Jet Airways board had approved a resolution plan formulated by SBI-led domestic lenders, under which had agreed to infuse an emergency funding of Rs 1,500 crore into the airline, and convert the same into equity worth 50.1 percent for a notional value of just Re 1 each share. However, the funds are yet to be disbursed due to "technical" reasons. Earlier on Tuesday, the guild demanded interest on delayed salaries along with timely payment, saying prevailing situation is not "ideal" for them to be in the cockpits. 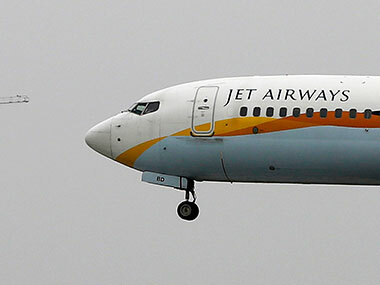 In two separate communications to director general of civil aviation BS Bhullar and Jet Airways chief executive Vinay Dube, the guild also said they are facing problems in paying their EMIs and other financial commitments. The pilots along with engineers and have salary arrears for three months, starting January, which stand Rs 320-350 core. The guild, which claims to represent around 1,100 of the 1,600 Jet pilots, had last month warned of halting operations from 1 April, unless their salary dues were cleared and clarity was provided on future payments by March 31. On 6 December last, the management had revised its earlier payment schedule, according to which it was to clear all dues by 31 March and on 21 March, the guild had sought government intervention in the recovery of their dues. Amid mounting dues, the airline on Tuesday reportedly offered leave without pay to its Boeing 737 pilots to restrict the spiralling outstanding salary dues. In addition, they have been given three-days off after a five days of work from 11-26 April as against two- days off for a six-days work earlier.